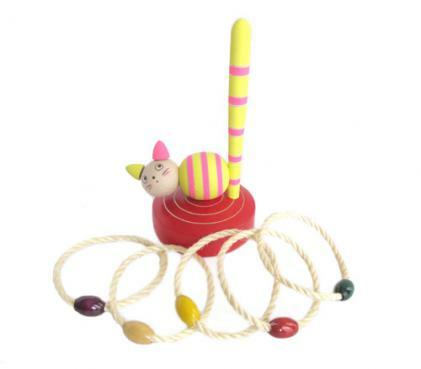 The classic game of quoits with a cute Japanese twist. Throw the rings and get as many as you can on the cat's tail. 5 different color rings included.